The room is spacious. The bathroom is very clean. Very close to Rimini station. The owners were courteous and mostly stayed away. Biggest problem is the fact that they charged us an extra tax not stated on the total I received. When questioned, they said it was a city tax but I told them my total had all taxes included. They also charged us for AC which I believe was a good buy. They also charged us to leave our bags. I just felt as though they were keeping tabs on everything. I understand this is a business but the feel of other hostels was much more welcoming. 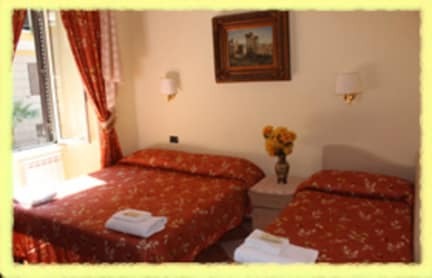 Room was fine, clean and convenient location 2 mins from termini station. Bathroom was TINY. 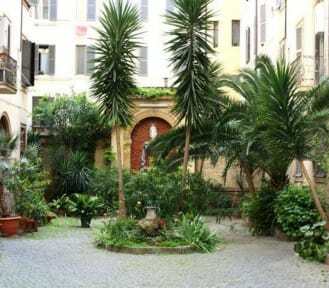 This place is not a hostel, there is no reception or communal areas. Sergio barely helped us with anything, he rushed us through check in and was most concerned with taking our money than anything else. The building is really noisy with loads of slamming doors and people talking. Not great value for money.